We Take Bitcoin! Oct 09, 2014 This year has been something of a watershed for us, a third new website, new staff and many more internal systems that hopefully are lessening stress and ..
New Year, New You. Enterprise Resolutions for 2015 Dec 27, 2014 The excitement of Christmas is over, but 2014 isn’t quite over yet. A few days remain until the beginning of the New Year. Traditionally,..
Grow Your Business With Distance Learning Mar 03, 2015 Staying at the head of the pack is a tough thing to do in the dog eat dog world of business. Even if your organization is not commercial nobody is immune ..
Corporate Responsibility - Investing in Skills for Charity Apr 21, 2015 Society is all about the people who make it up and this includes businesses as much as any other group. When it comes to a company exercising its social c..
What are Business Development Skills? Aug 27, 2015 It’s fair to say that any business that can turn a profit and pay its way is a success. Nevertheless, the market is a fickle thing and there are few.. Sole Traders, Partnerships and Limited Liability Companies Jan 19, 2016 If you’re one of the people starting a new business in the new year, you’re not alone – in the UK alone 581,173 new businesses were started in..
Letter from the Director - When Education Costs Too Much Feb 23, 2016 As someone who deeply values education, it was heart breaking for me to read earlier this month of a strike at a University. Not of overworked educators t..
How To Be A Successful Distance Learner Jun 10, 2016 Five Traits of Distance Learners Embarking on a distance learning course isn’t just an exe..
( 16/09/2013 ) A: Hello Marc, As you study your course you will go through a number of 'set tasks' which will lead into assignments. The course will have a set task and an assignment per lesson and sometimes will also ask you to do some extra reading around your subject. As far as I am able to tell, the course requires you to complete a short project instead of an exam. You may be able to spend more time with your family as you can choose your own hours and holidays etc. You are more independent and do not have to answer to anyone else. People become entrepreneurs for many reasons. Some want to leave the fast-paced corporate environment. Others want to be at home but still earn an income. Others want to pursue a personal dream. The reason you might become an entrepreneur may be completely different from these. Most people dream of running their own business. They would like to become entrepreneurs. 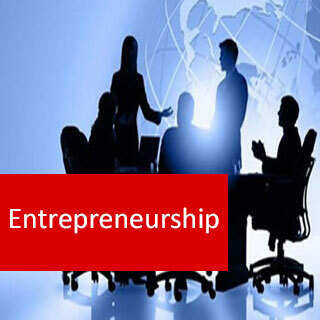 Discuss the concept of entrepreneurship and identify the effect entrepreneurs can have on the economy. Identify requirements to become a successful entrepreneur. Clarify personal expectations, values, skills and experience. Identify methods of investigating business opportunities that are in line with personal and business interests and values. Discuss the importance of market research in order to understand potential customer requirements and market needs for a product and/or service. Explain the legal and ethical aspects of ownership of ideas, designs, etc. Explain and have the knowledge of relevant legislation and regulations affecting entrepreneurs. Identify and explain all factors and costs that need to be considered in starting up and managing a venture. Explain the essential elements of a business plan and the importance of financial planning. 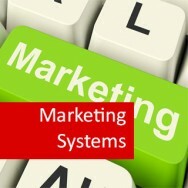 Explain the key concepts of marketing to enable the student to develop and plan marketing strategies relevant to his or her entrepreneurial venture. Describe various means available that can be used to launch and publicise a new venture.